Weddings are a way to make your love life official. When you are a celebrity, you spend a chunk of your time in the public eye and needless to say, it leads to the spreading of rumours. At the same time, unfazed by the gossip celebrities go ahead and enter holy matrimony. Some do it with pomp and glamour for everyone to see, while some keep it intimate and close with no information available to the paparazzi. Irrespective of how the wedding took place, they are all beautiful. So to wrap up 2017 (which is nearing the end, if you haven’t noticed) here are the best celebrity weddings that took place this year. Somya Seth has had a successful year as an actress playing Kaurwaki in the historical series of Chakravartin Ashoka Samrat. On January 15, 207, she tied the knot with Arun Kapoor, who has been her long-time partner. The wedding was a completely secret affair and the venue was a resort in the USA. 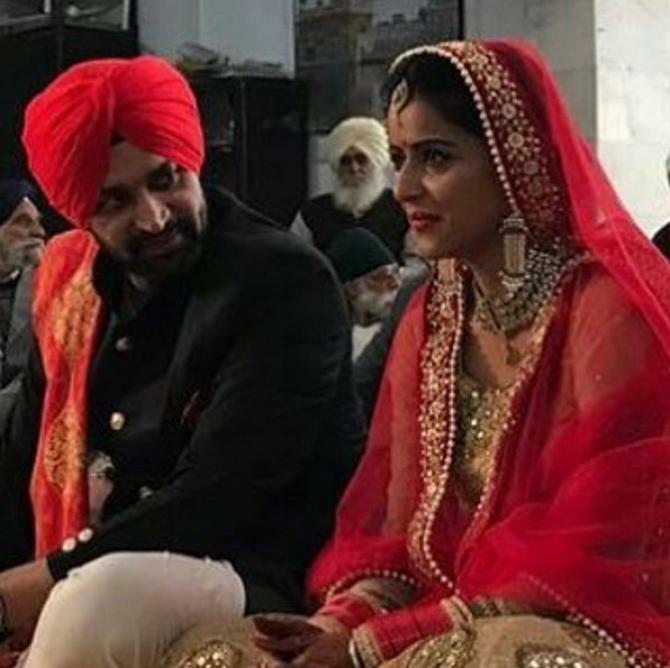 Our favorite Haryanvi police inspector, Chandramukhi Chautala, aka Kavita Kaushik got hitched on January 27, 2017. 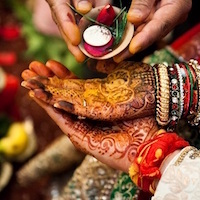 She married her boyfriend Ronnit Biswas in a Shiv-Parvati Hindu temple in Kedarnath. Yet again, this was a quiet wedding attended by near and dear ones. Ginni Virdi, who garnered a lot of accolades for her performance in the TV show Udaan married Parminder Singh. 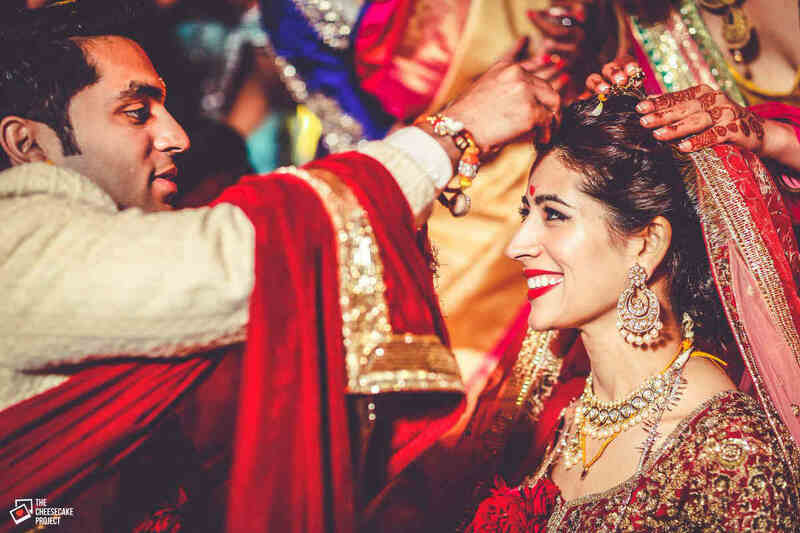 Ginni and Parminder had been dating for a long time before they decided to tie the knot. The wedding took place on 1st January 2017 and seems like an extension of the wedding season of 2016. A quiet ceremony at the Gurudwara solemnized their wedding. It was followed by a grand reception attended by Ginni’s colleagues. Pooja Banerjee set the TV screens on fire with her portrayal of Rewa Mathur in Swim Team on Channel V and appearance on Roadies S8. But she gained a great fan following through shows like The Adventures of Hatim and Chandranandini Nagarjuna. She married the Olympic medalist and national level swimmer, Sandeep Sejwal on 27 February 2017. 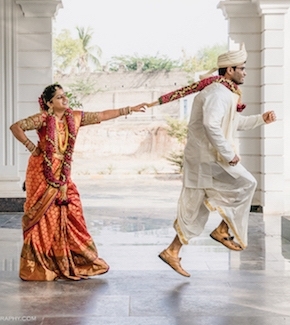 While the engagement was a hush-hush affair, the wedding was celebrated with great pomp and fervor. The three-day event was followed by a grand reception too. Truly it was one of the best celebrity weddings of this year. 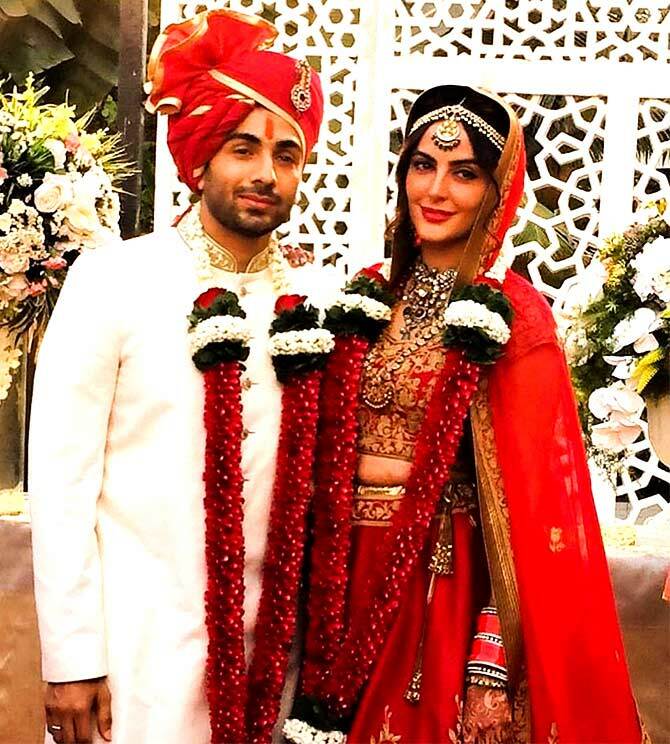 Mandana Karimi, a participant of the reality TV show Bigg Boss, exchanged wedding vows on January 25, 2017. 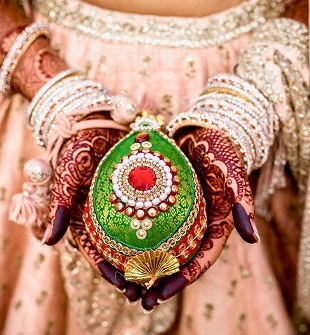 The lucky groom happens to be her boyfriend Gaurav Gupta, who she had dated for 2.5 years. The intimate wedding took place amidst very close family members. Believe it or not, it was a court marriage. 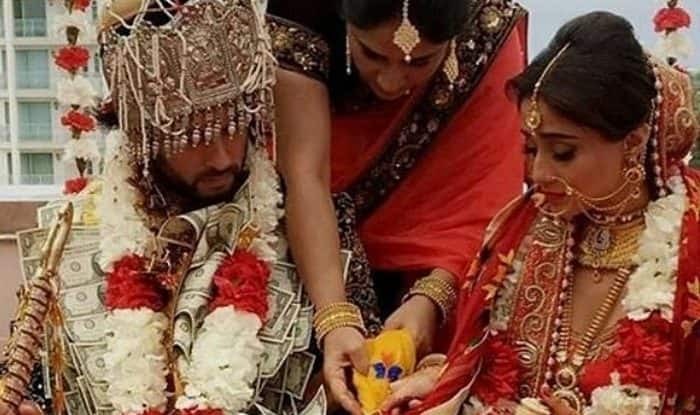 Amit Dolawat broke many hearts as he married his girlfriend on February 14, 2017. Cheshta Sharma, his wife, is an air hostess and they had been dating for quite a long while before entering matrimony. Amit is known for his roles in Yeh Rishta Kya Kehlata Hai, Udaan, and Ichhapyaari Naagin. 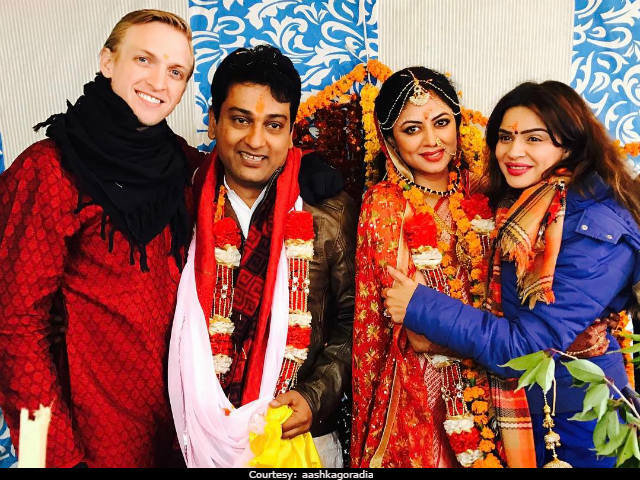 Actress Shireena Sambyal and boyfriend Vishnu Rao exchanged the vows on 15th February 2017. She is known for her acting in Ishqbaaz. Before getting into a relationship, the couple were very good friends. After Vishnu proposed to her and they have been going steady since. Love stories turning into happily ever afters surely are a recipe for the best celebrity weddings. Yes! 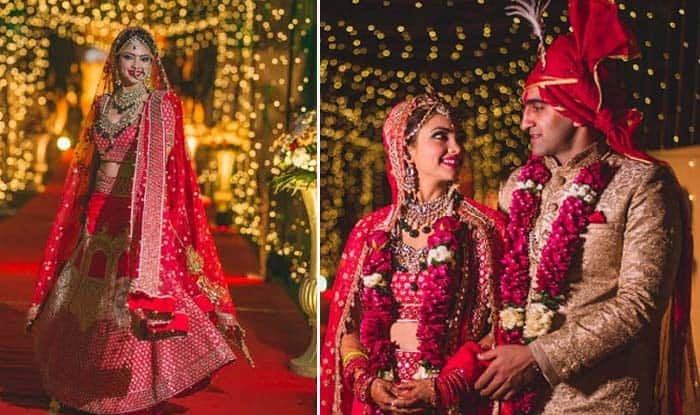 The Roadies contestants Mohit Saggar and Roop Bhinder also tied the knot. The Punjabi wedding took place on 19th April 2017 and was attended by fellow Roadies contestants and even the judge Raghu Ram! 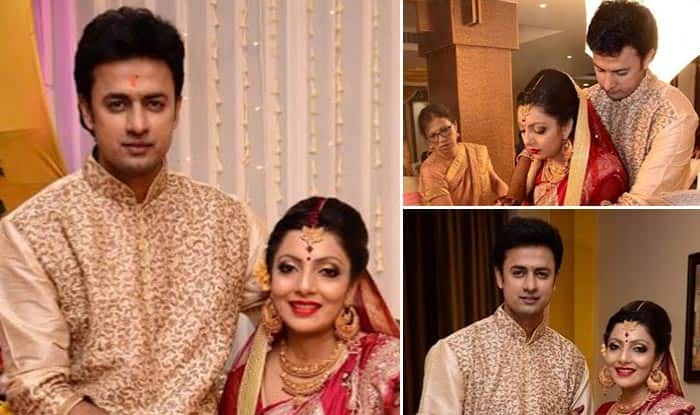 Sandit Tiwari made his love for Priyankona Das official by exchanging rings in January 2017. Following this, the wedding took place on 8th May 2017. After dating for a solid 6 years, this is one of the best celebrity weddings that makes us believe in love yet again. Panchi Bora ruled the TV screens with her TV show Gangaa. The stunning Assamese beauty entered holy matrimony with her long time boyfriend Jaydeep. The wedding took place on 17th January 2017 with all the rites and rituals. They maintained the privacy so high that we only got to know when the glowing bride herelf shared photographs of her special day on social media.